Back in October I was asked to write a post about 'Health Hobbies Beyond Fitness.' My first thought was... what is fitness besides eating right and exercising? Then I realized that how I was thinking of fitness was all wrong. There are so many other things we do and include in our lives that contribute to our overall health. After all, fitness isn't just about getting thing - it's about being healthy, and there are a lot of things that contribute to our health. 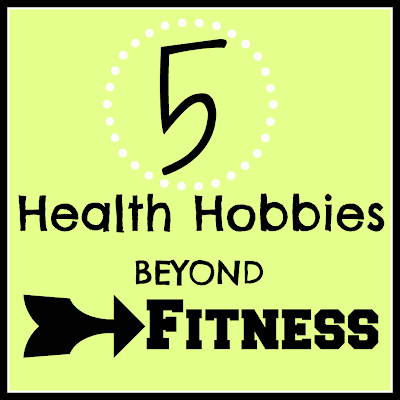 Be sure to check out my top 5 Health Hobbies BEYOND Fitness over at Healthy Living Blogs.